4 Less Termite, Inc. will recommend treatment by fumigation if the infestation is severe, the location inaccessible or the full extent of the infestation unknown. Fumigation is the only treatment that is more than 99% effective for eradicating drywood termites and powderpost beetles and complete or partial removal and repair of the portion of the structure that has been compromised may also be recommended. Fumigation is a process of wrapping and sealing a home in a tent and injecting gas that penetrates the entire structure to ensure the complete treatment of the structure. The fumigation process takes a total of three (3) days for drywood termites and five (5) days for powerderpost beetles - with the first day used to place the tent over the structure and the last day used for aerating and then removing the tent from the structure. 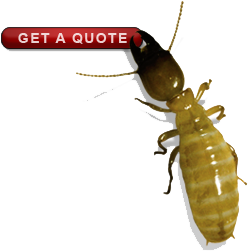 4 Less Termite, Inc. utilizes fumigation gas that is the standard in the industry. For additional information on the fumigation gases commonly used, please click the following links for a Fact Sheet on Vikane or Material Data Safety Sheets for Vikane and Chloropicrin. Once your fumigation is scheduled, the forms below must be read, signed and returned via email, fax or mail no fewer than two business days in advance of your scheduled fumigation. This timeline is necessary as the State of California requires natural gas service be terminated by the local gas company and they require advance notice for the gas lock. If you have any questions regarding the completion and submittal of these forms, the fumigation process or your responsibilities, please call Customer Service at 831-465-1699. If fumigation has already been recommended as the primary treatment for your infestation and you want to make sure you are receiving a reasonable rate, we offer competitive bids on all structure fumigations. For more information, please contact Customer Service at 831-465-1699. 4 Less Termite, Inc. Requires Signatures on the Following Forms: They can be downloaded individually or as a packet. *Depending on the type of roof on the structure and the proximity of the structure to neighboring structures, additional forms may be required.